Pinned websites in Internet Explorer 9 (IE9) are the premier feature that everyone is talking about. With pinned websites you can receive notifications, quickly navigate via the jump list, or control a webapp without even opening the page. Not all sites will have the full set of pinned features, since this requires that they’ve developed them in specifically for IE9. The main thing about them though is, each site will get its own icon on the taskbar –which makes them feel like individual applications. Adding pinned site functionality to your own website is easy, just read the Pinned Sites Developer Documentation on MSDN. Otherwise, read on below and we’ll look at 3 different methods for pinning any website in IE9 to your Taskbar and Start Menu. Visit the website that you would like to pin. 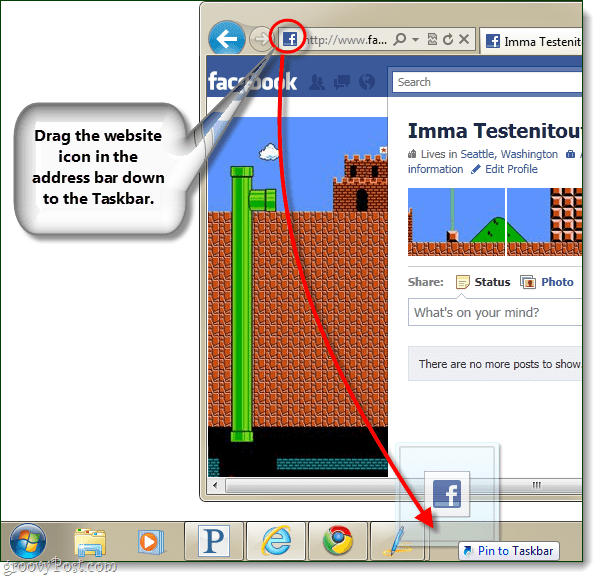 Click and Drag the website icon from IE9’s address bar, and take it all the way down to the taskbar. A Pin to Taskbar hover menu will appear when you are close enough. Open up the website you would like to open in IE9. Now Click and Drag the entire tab down to the taskbar. 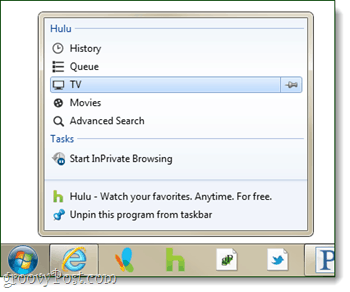 This method will Pin the website to the Start Menu instead of the Taskbar. With the site you want to add currently open, Press Alt+T on your keyboard, then Press M immediately after. A dialog box will appear, Press Alt+A to confirm that you want to add the site to the Start menu. Now that you have your websites pinned, you can take advantage of the website jump list menu. These menus won’t appear for all websites, just ones that have developed them specifically for IE9. 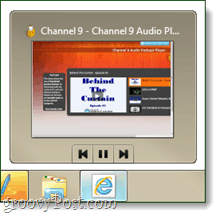 Things you can do from the menu will vary, but Microsoft has shown off some groovy features; including audio player controls for internet radio sites. Now you know just about everything there is to know about IE9 pinned websites, but only time will tell about how useful the feature really is. Microsoft has pulled out the stops this time, and they’ve even beat Firefox 4 to a final release. What do you think about pinned websites? Is this going to be enough to bring Microsoft back to the lead in browser market share? Thanks for every other excellent post. The place else may just anybody get that type of information in such a perfect approach of writing? I’ve a presentation next week, and I am at the look for such info.